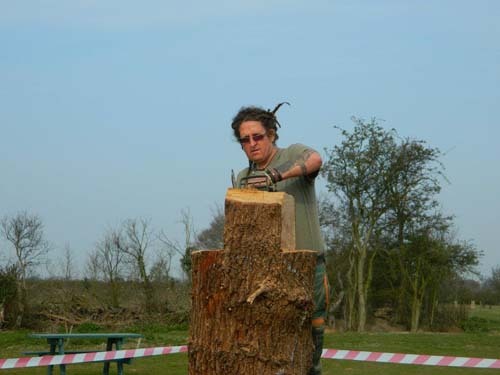 I have also completed the Tree Felling courses. This opens up the work we can take on. This was undertaken after being asked to take out an old cherry tree. Rather than remove the tree completely, we left the stump and carved it into a new garden feature, giving the poor old tree a new life! 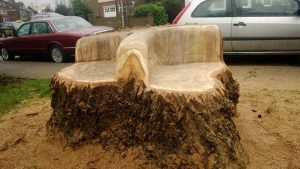 So if you have an old tree that needs a new life just contact us and we will discuss how we can help! 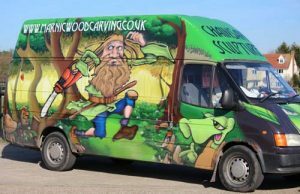 Marnic Wood Carving was started up in 2011 by Rusty and Nicky. 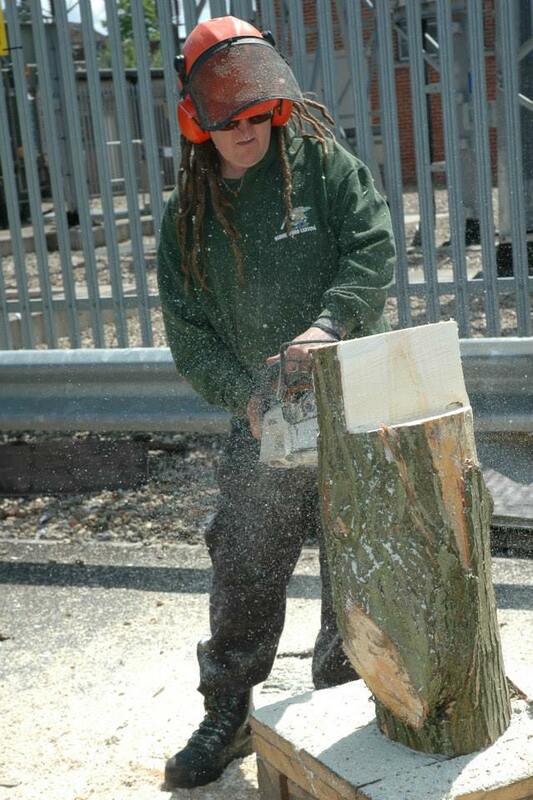 We both carve and are based in the Colchester area. 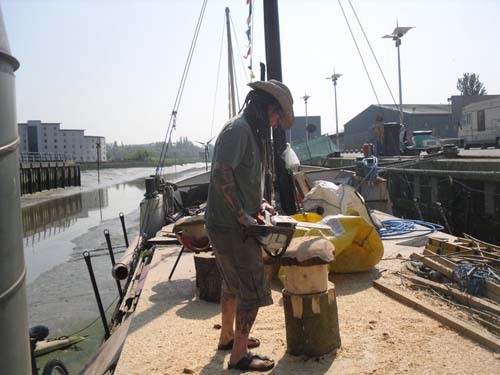 Once we made the decision to take up the Chain Saw and start carving together, it was not long before we were asked to carve some Mushrooms for the kids area at a local Music Festival, The Cosmic Puffin. We were then asked to do some carving for other events. I was also asked to do a carving demonstration at the Mayflower Project in Harwich. 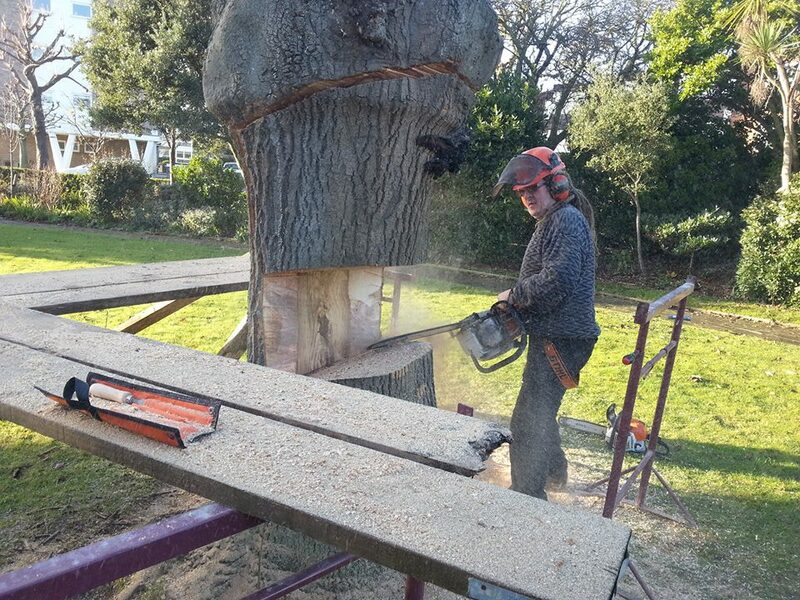 We now have completed some Private Commissions, along with all the Chain Saw Carvings we do over the weekends. In 2012 we were approached by a local Country Park to put some sculptures in a couple of local park areas.